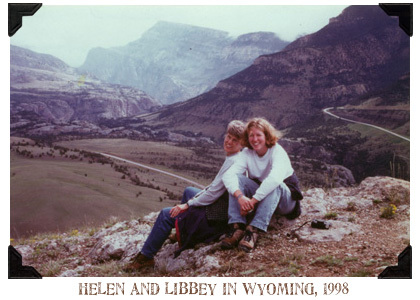 Helen and Libbey White started this site in 2010, when Helen came into possession of many boxes of family documents, and Libbey was looking for ways to practice web development. Since then Helen has typed in over 2000 documents, and that number keeps growing. She has also scanned many documents and added those images along with the text. Clicking on family images on the home page will filter the documents by family. If you wish to browse all the documents in the archive, click on "Search" but leave the search box empty – that will return all documents in chronological order. You may wonder how we made archive decisions – what items should get preserved? Most entries either tell a family story or provide a look at American history, including life on whale ships, in Western rural communities, and during WWI and WWII. We would love to hear from you if you have any questions about the site, or suggestions or concerns. Send us an email.